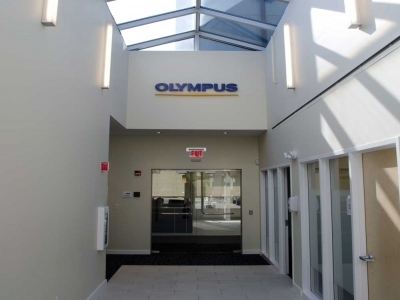 DPM provided comprehensive OPM services including pre-construction consulting, construction administration and FF&E coordination for the construction, relocation and restack of Olympus NDT’s Waltham facility. As a result of its acquisition and integration of Innov-X Systems, Inc., Olympus opted to expand and restack its existing facility at 48 Woerd Avenue in Waltham to accommodate the additional employees and improve the work environment for the entire workforce. The completed space boasts expanded manufacturing, engineering and training areas as well as updated state-of-the art A/V systems. The space consists of approximately 80,000 square feet and houses approximately 400 employees.